A substantial four bedroomed single-storey residence, tucked away at the east end of Lyndon with probably the best view in the village. 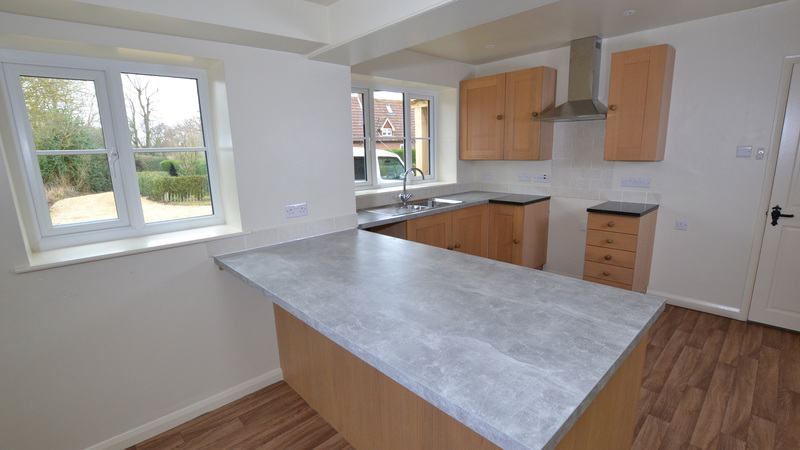 This spacious property has been completely refurbished to a high standard. It has such a light and airy feel throughout. 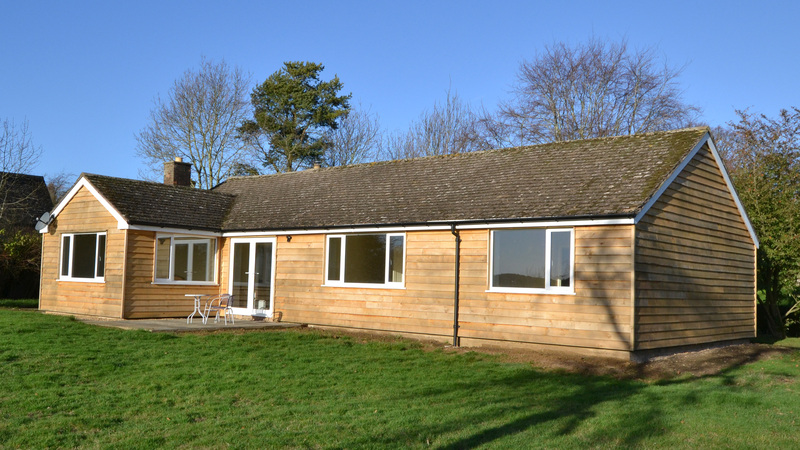 With plenty of rooms it is an ideal family abode, or similarly suitable for a professional requiring space to work. A viewing can be arranged via the Estate Office if the property is of interest. Please review full details and floor plans below! Approach this secluded property along the gravel driveway and find ample space for parking. 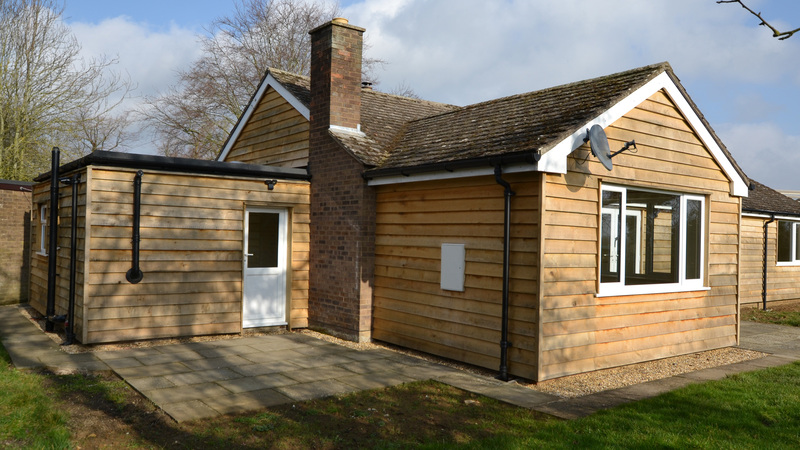 Clad in Oak this attractive yet unusual dwelling has been completely refurbished including installation of extra insulation (beneath the cladding), double glazing, a new central heating system and Megaflo pressurised hot water system. Enter the house through the grand Oak constructed porch and find the spacious entrance hall links to the heart of the home. 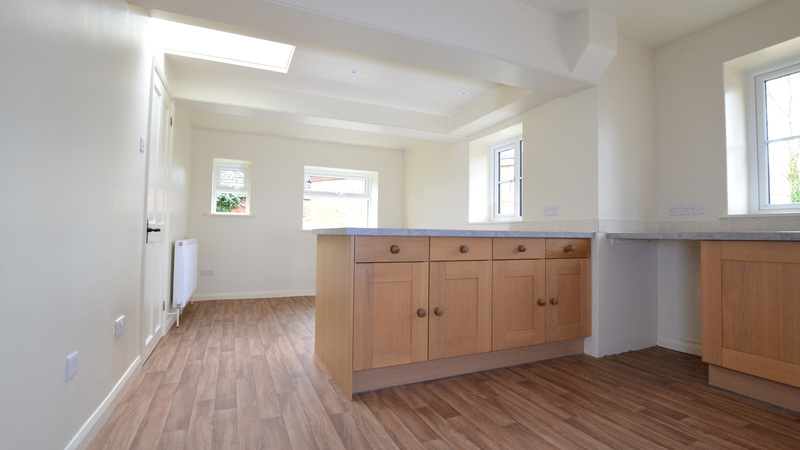 The living space comprises a lovely kitchen enjoying plenty of light, featuring a breakfast bar and space for dining; a boot room and WC connects to the rear. The large south facing sitting room offers exclusive views across the Chater Valley and features a stone fireplace. A dining room, equally appropriate as play or office space, connects to the sitting room with sliding doors; this area enjoys the stunning southerly view and features French doors opening to a paved area. Venture down the hallway and find the large master bedroom on the right facing south with the valley view, fitted with two double wardrobes. Across the hallway is the family bathroom equipped with dual rainfall and handheld shower system, positioned over the bath. 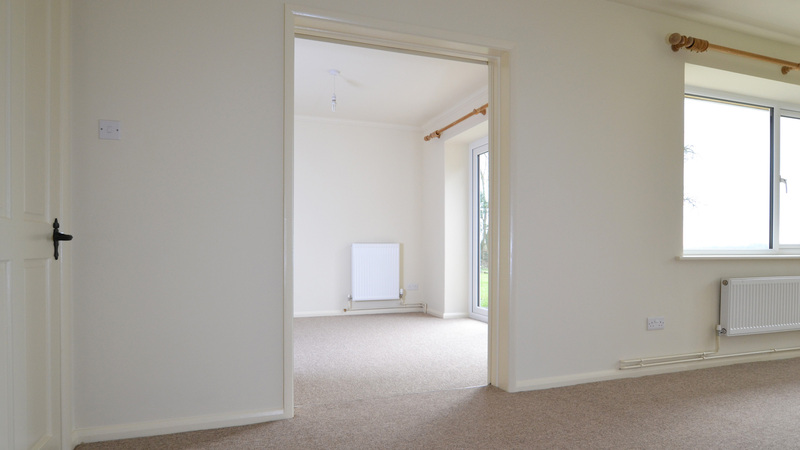 Move on through the accommodation corridor where the other bedrooms and shower room are located. Bedroom two faces south and features a built-in double wardrobe and cupboards above. 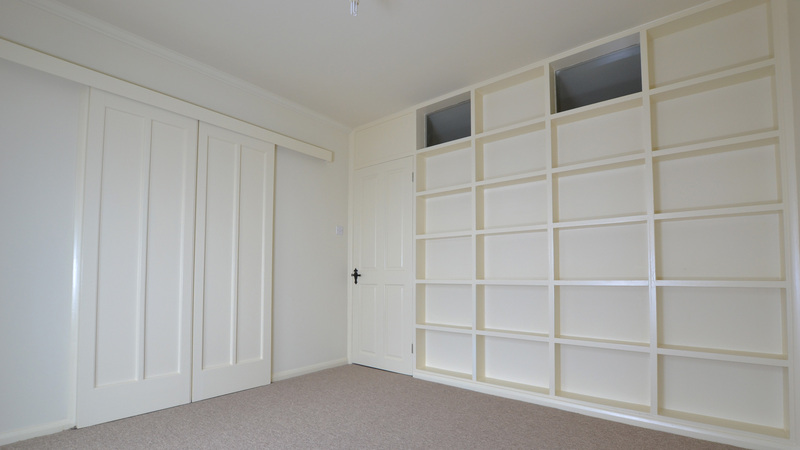 Bedroom three has a single built-in wardrobe and storage cupboard above. The contemporary shower room eases the burden on the main bathroom, again fitted with a dual rainfall and handheld shower system. And finally bedroom four enjoys a view of the garden. Outside, a double garage provides protected space for vehicles or storage. 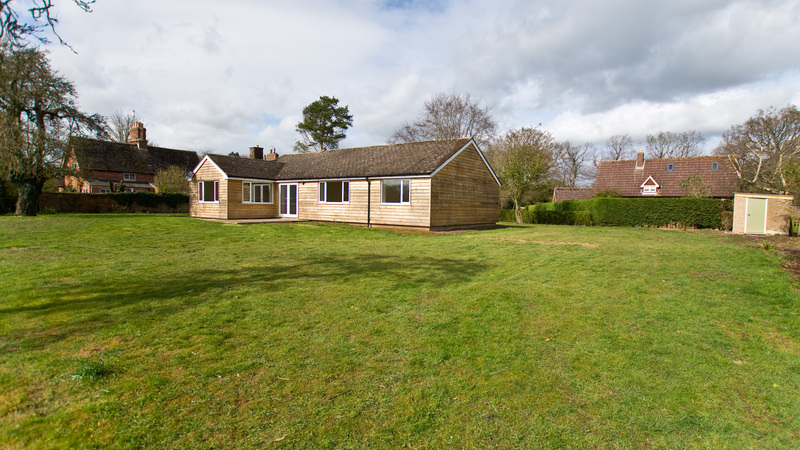 A large garden surrounds the property and enjoys a fantastic view out across the Chater Valley. A pathway allows access around the side of the house with areas paved by the boot room and French doors. 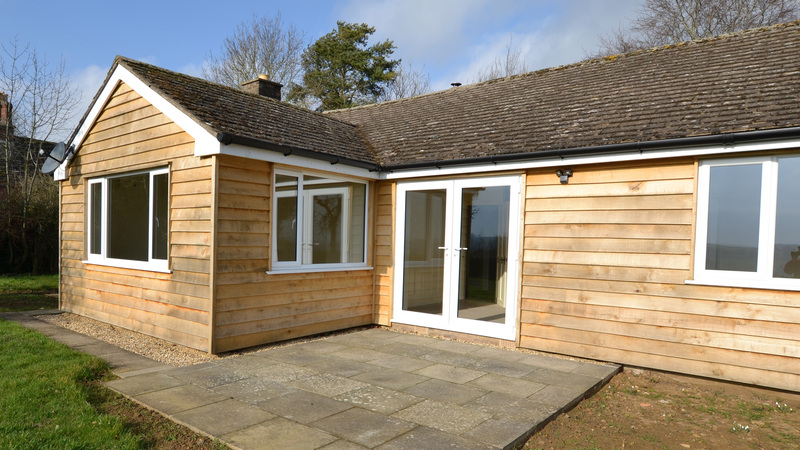 A shed is positioned in a corner of the garden ideal for equipment and furniture etc. To be let unfurnished except for carpets and other floor coverings. 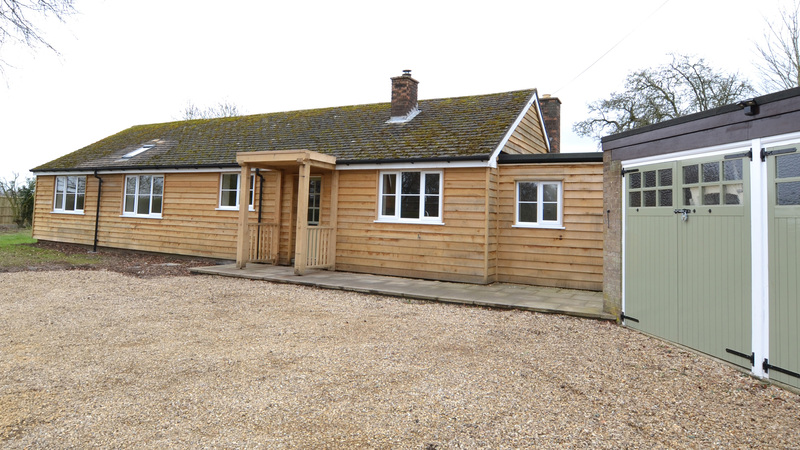 The property is heated by an oil fired boiler and has a large storage tank at the rear of the garage. Mains water & sewerage are connected as is electricity and a telephone line - Lyndon village benefits from FTTC (fibre to the cabinet) broadband internet with download speeds up to 70Mbps. We have been verbally informed that fibre optic connections (FTTP - fibre to the property) are being rolled-out across Lyndon by the end of 2019 so connection speeds will far exceed what is currently on offer. The house is fitted with security lights outside. Smoke & CO detectors are installed inside. 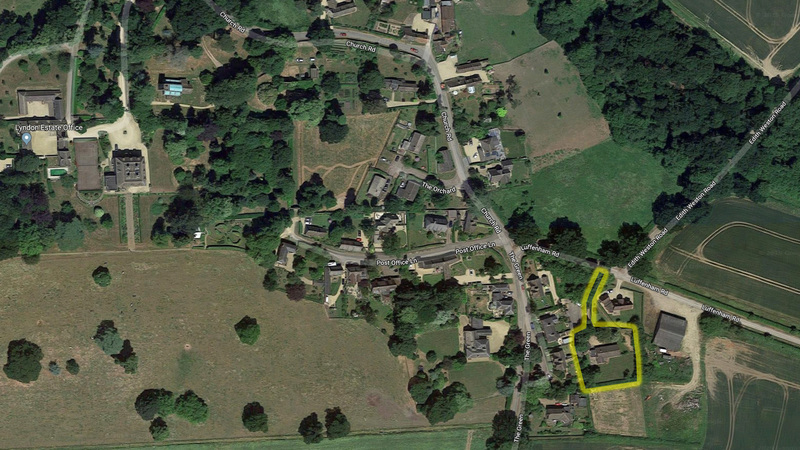 A small adjoining paddock, suitable for grazing, may be available via separate licence. £tbc Per Calendar Month. This excludes council tax, water/sewerage, electricity and telephone charges. The Landlord is not bound to accept the highest or indeed any offer. Classified under Band E - further details can be found on the Rutland County Council website. The house is to be let on an Assured Shorthold Tenancy Agreement for an initial term of between one and five years with the prospect of an extension if both parties are agreeable. A deposit of £tbc will be required on signing of the agreement (held in a deposit protection scheme). Applicants wishing to apply for the tenancy will be required to complete a credit reference form and pay for the cost of the credit reference (currently £tbc per applicant) - this cost is non-refundable. The Tenant is responsible for routine maintenance and interior decoration. The Landlord is responsible for exterior decoration and all major and structural repairs. We can put you in touch with an estate gardener as required should you require assistance with mowing, hedge cutting etc. A copy of the proposed agreement is available for inspection at the Estate Office by prior arrangement. Strictly by appointment with the Lyndon Estate Office. 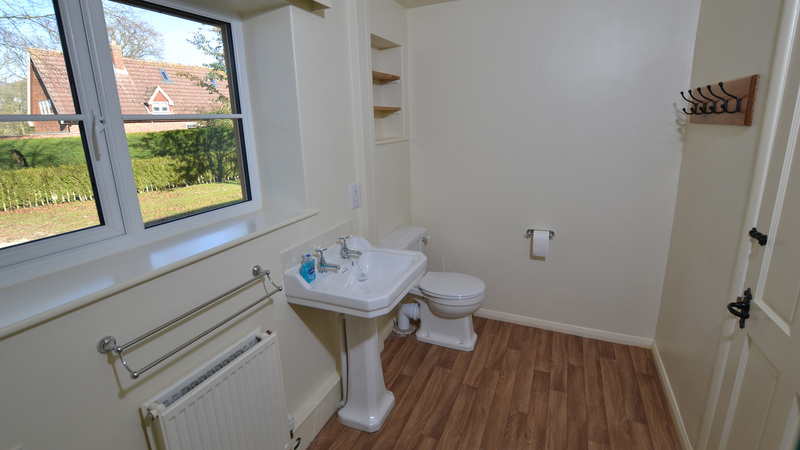 The pictures shown in the slideshow are of the actual property, however they may not be up-to-date and therefore not necessarily representative of the current condition and/or layout. These particulars do not constitute any part of an offer of contract. All measurements are given as a guide, and no liability can be accepted for any errors arising there from. No responsibility is taken for any error, omission or misstatement in these particulars. No person in the employment of the Lyndon Estate Office has any authority to make or give any representation or warranty whatever in relation to this property. 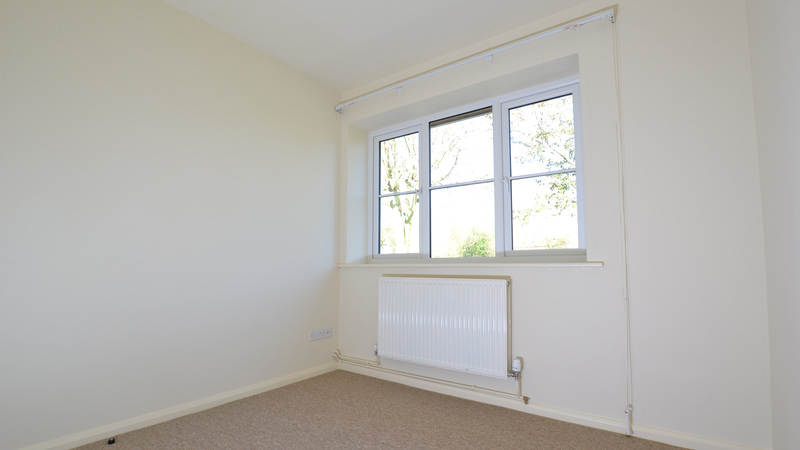 Matting and carpet flooring, radiator, cupboards containing the Megaflo hot water tank and also the laundry - plumbing for washing machine, space for condenser dryer and storage. Fitted Oak units with spaces for a standard cooker (extractor hood above), dishwasher and full height fridge/freezer. Radiator, lino flooring, doorway to boot room and exit. 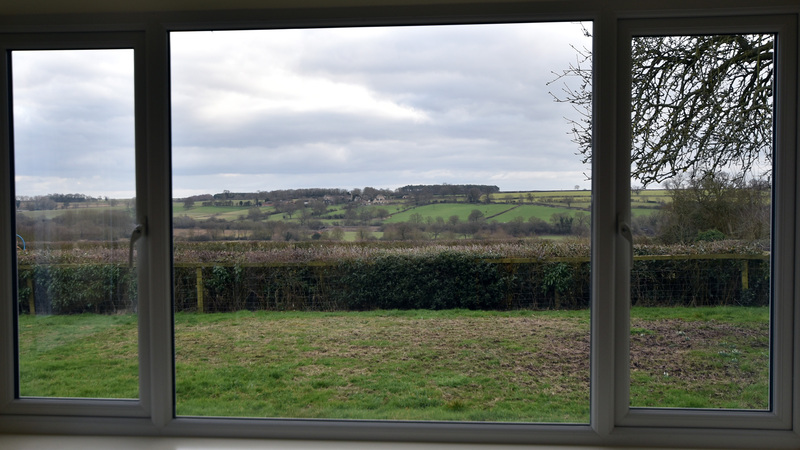 Large open area with fantastic views across Chater Valley. 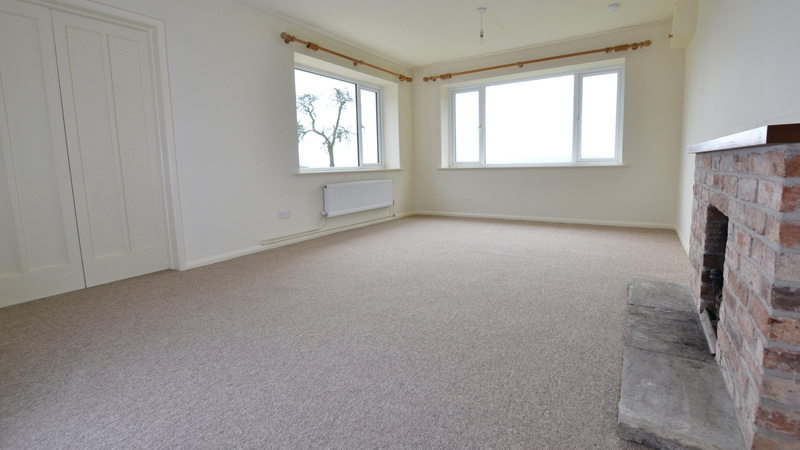 Carpeted floor, 2 radiators, stone fireplace. 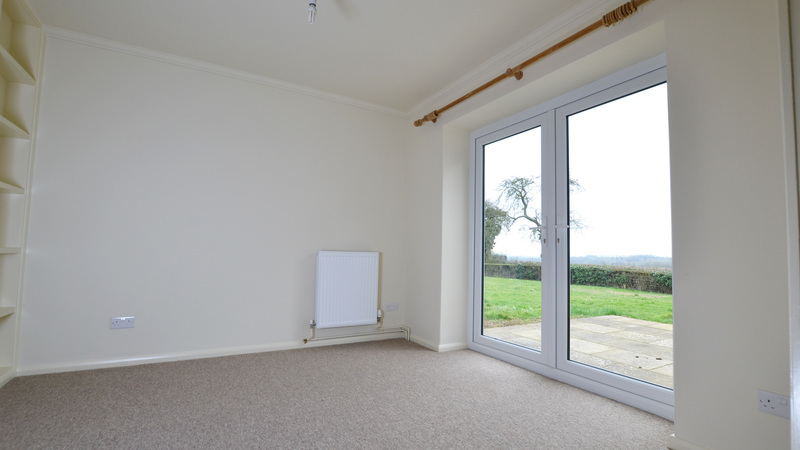 Carpeted, radiator, sliding doors to sitting room, French doors to garden paved area. 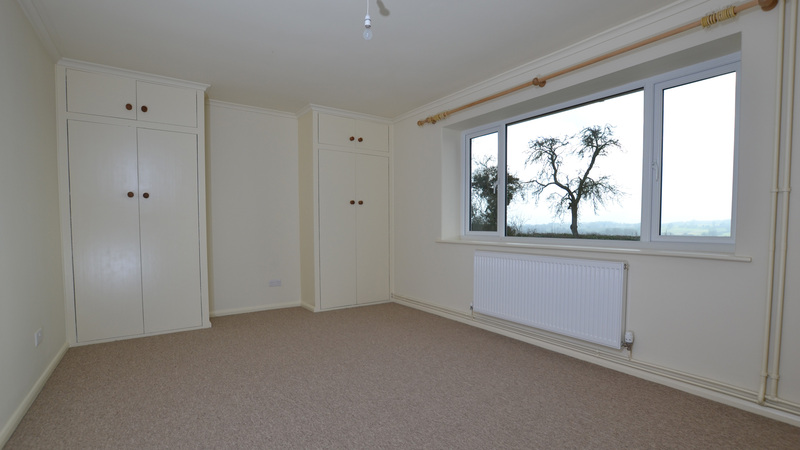 Bedroom One: 5.0 x 3.3m Carpeted, radiator, two double fitted wardrobes. 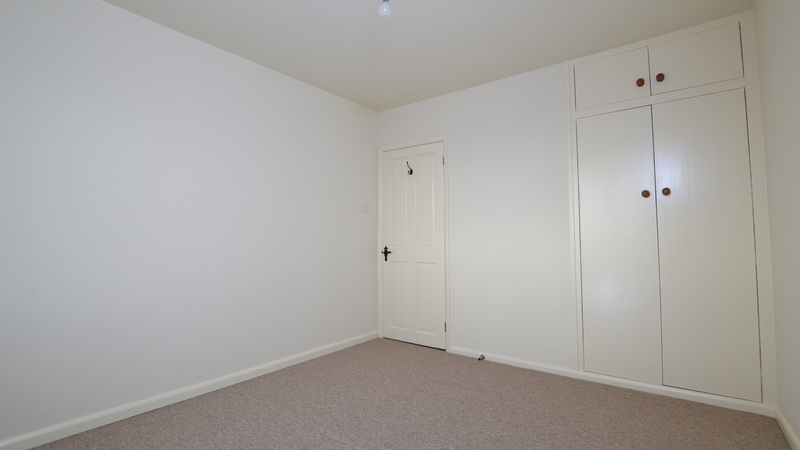 Bedroom Two: 3.0 x 3.3m Carpeted, radiator, fitted double wardrobe. 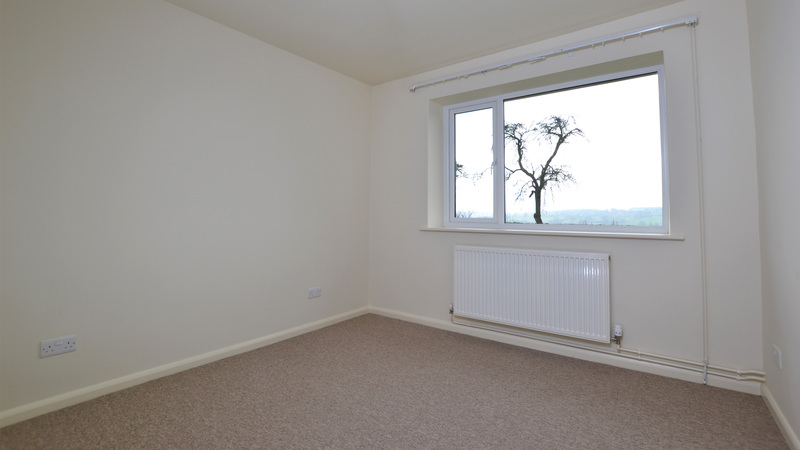 Bedroom Three: 2.7 x 2.75m Carpeted, radiator, fitted wardrobe. 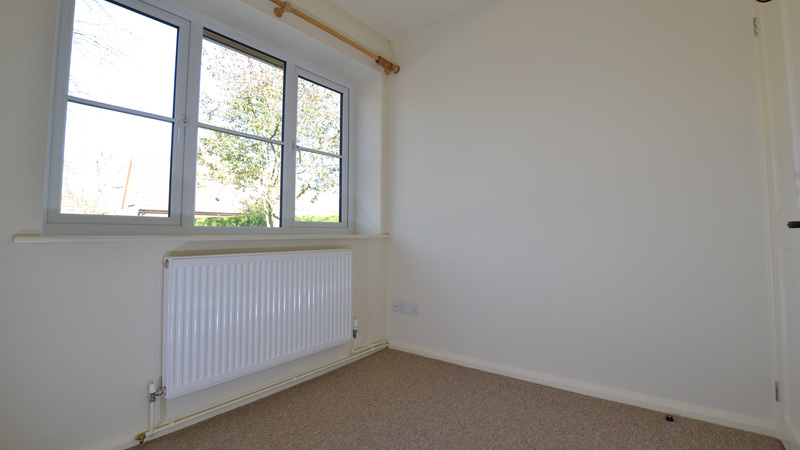 Bedroom Four: 2.65 x 2.15m Carpeted, radiator. 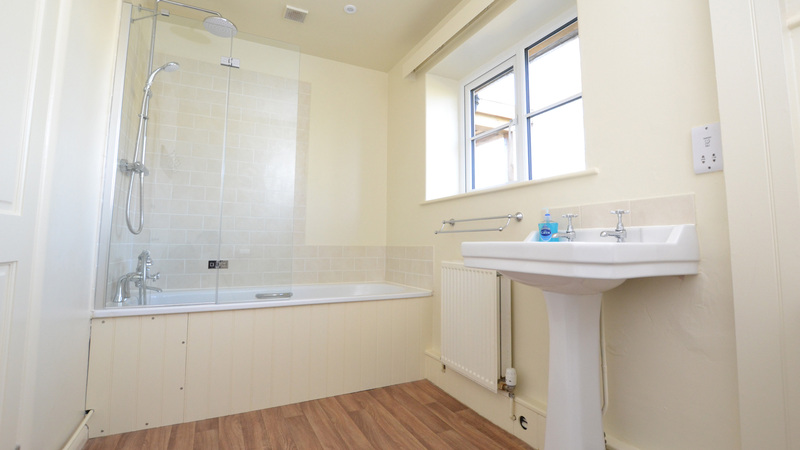 Bathroom: 3.25 x 1.8m Lino flooring, radiator, wash basin, WC, bath, dual shower system. 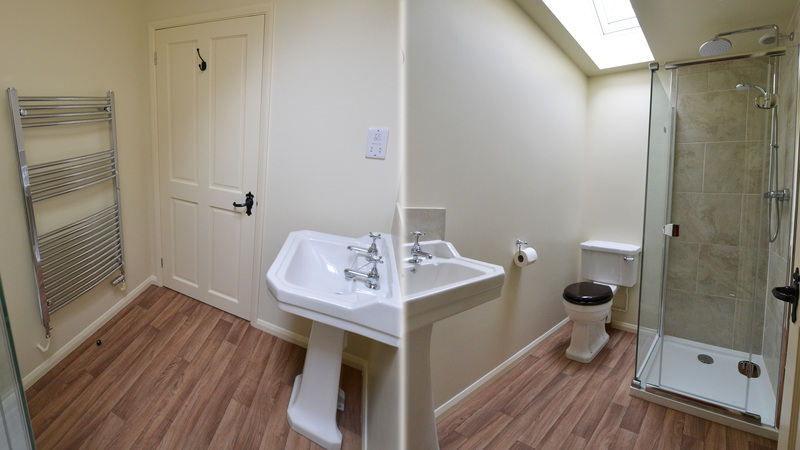 Shower Room: 1.6 x 2.15m Lino flooring, heated towel rail, wash basin, WC, dual shower system. 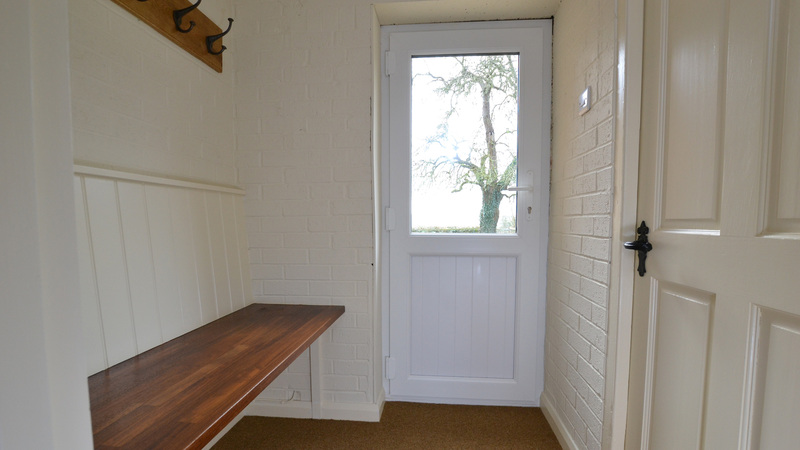 Boot Room: 1.5 x 1.6m Matted floor, bench seat, clothing pegs. Boiler Room: 1.6 x 1.6m Lino flooring, central heating boiler, WC, wash basin. The gravel driveway opens out into ample parking area for 2-3 vehicles. A double garage offers secure space for vehicles or storage. 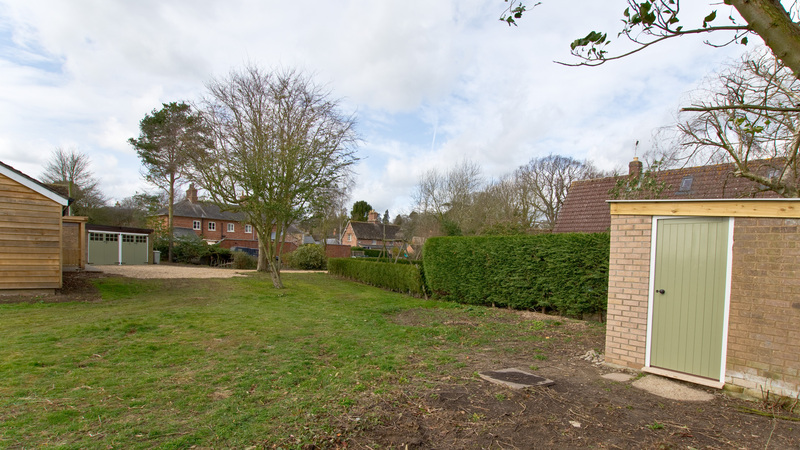 There's also a secure brick constructed garden shed. 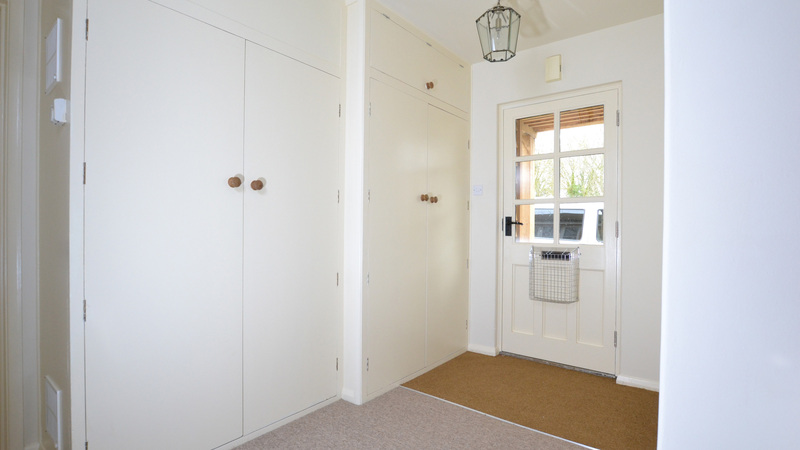 Featuring double doors on each side of the garage, thus less restrictive in terms of height access when compared with conventional up and over type doors. Inside there's one large space for maximum usability - one vehicle plus storage or get two vehicles inside. Garden Shed 2.30 x 3.45m Suitable for garden tools, equipment and furniture etc. Gravel Driveway Ample parking space for 2-3 vehicles. Heating Oil Storage Large 2,500 litre tank at rear of garage allows for infrequent refuelling, or purchasing when most cost effective. 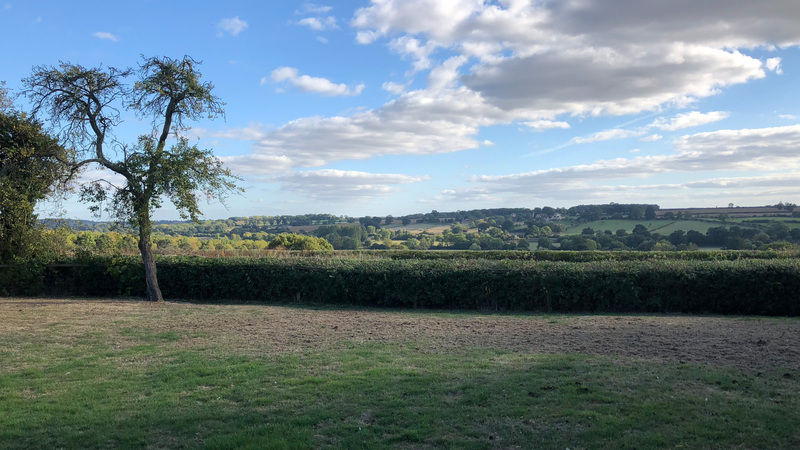 The property is surrounded by a simply laid out garden (currently being tidied-up) with the main area enjoying a fantastic southerly view across the Chater Valley. Nearly 1000m2 grass garden area. Potentially easy to fence-in and make secure for a pet. Two paved areas and walkway access around the side connecting front and rear doors.